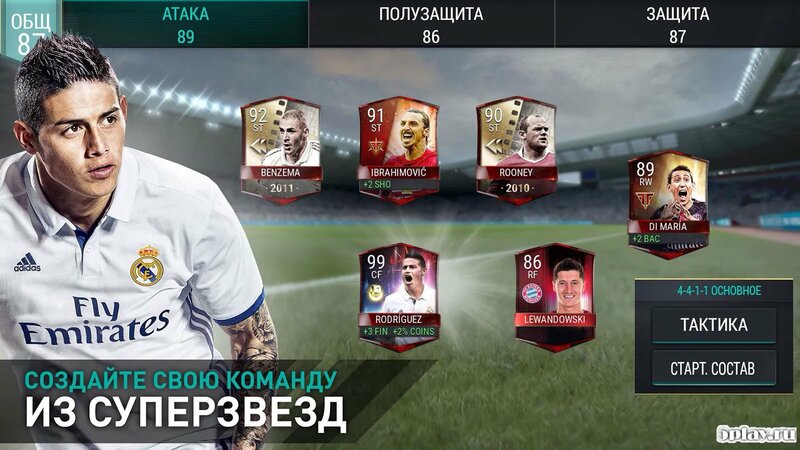 FIFA Soccer - the new part of the football simulator for Android devices from EA Sports. The game is completely different from previous versions on mobile devices. 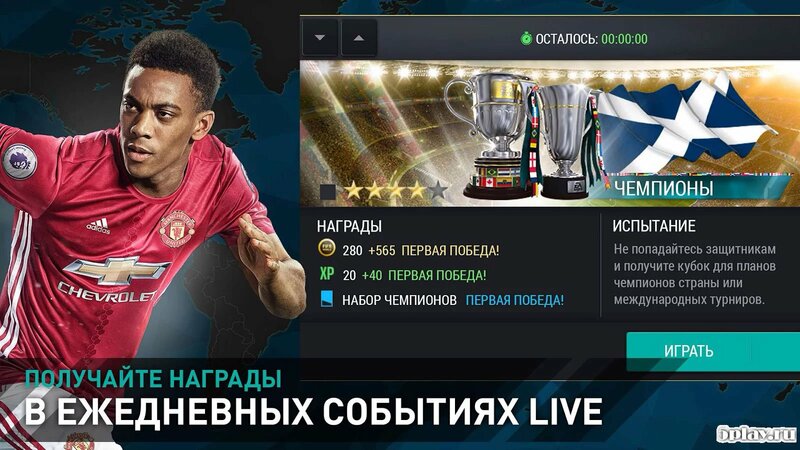 Developers completely reworked the gameplay, which can be a surprise even for seasoned fans. The game process consists of two parts. In the first you need to learn new techniques and practice them in training. The second mode is a successive attack on the gate of rivals. Unfortunately, there are no full matches here. But there are a lot of tasks for which bonuses are given. 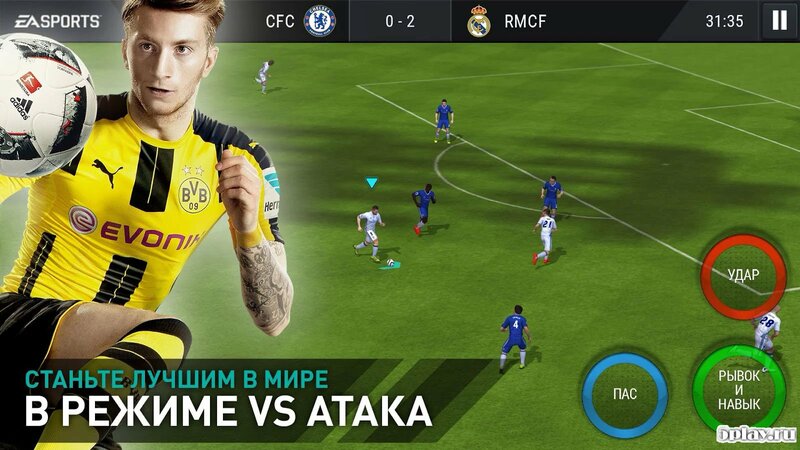 The main feature of the second mode is that the matches are held with teams of real rivals. In the spirit of turn-based RPGs, first one player makes his move, attacking the opponent's goal and trying to score the greatest number of goals. After a while opponents change places. After several successive attacks and the final result of the match is looming. Management is implemented as standard. You can control both using svaypov, and through virtual keys. The graphics hold a high level, animation movements and the environment are executed at altitude. The soundtrack is also done perfectly and helps to feel the high degree of football matches. 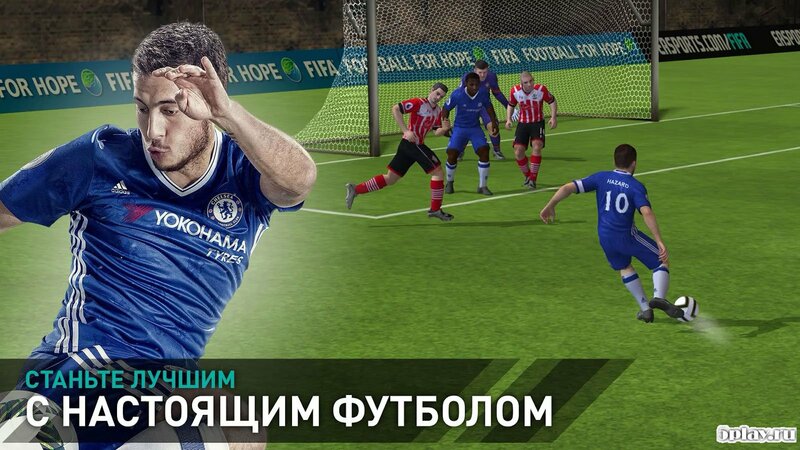 FIFA Soccer is an unusual football simulator, which differs from its counterparts in the genre. Perhaps, he will not like some of the fans of the previous parts, but he has many advantages that will allow him to collect an impressive army of fans.